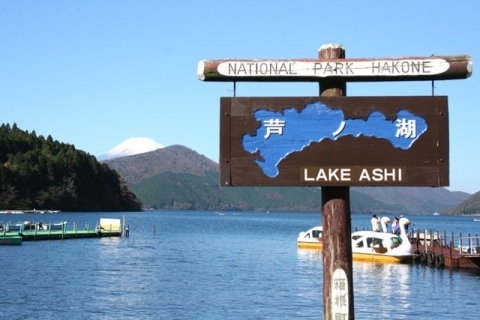 Asi is very popular among the tourists: you can cross the lake on one of the ferries and boats plying between the piers around the lake, and during the forty-minute cruise you will have the chance to enjoy a wonderful overview of Mount Fuji (in good weather conditions). 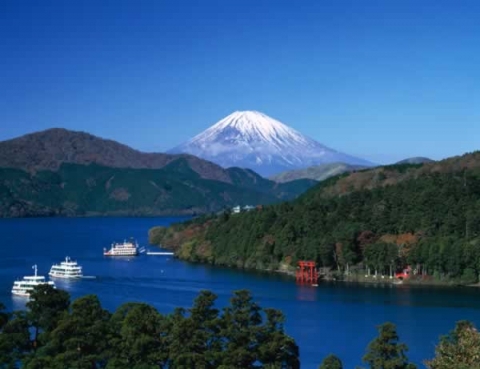 Nearby is located a considerable amount rekanov, Onsen hot spring, famous historical sites and natural scenic views of Hakone attract the attention of lovers of long walks. Among the main attractions are located in close proximity to Lake Temple Hakone (during the cruise ferry, tourists can see the Torii gates at the water’s edge), Onsi Park – formerly a private park, owned by the imperial family, is now open to the public; Ovakudani Valley – where you can taste the famous black longevity eggs (you can get there by cable car). 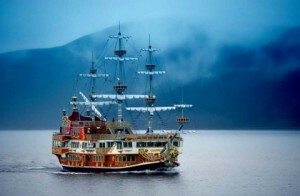 If time allows, it is best to stay for a few days in one of the local rekanov to fully enjoy all the delights of Hakone.